Hey, hey! It is salad season and what better way to top that amazing bed of greens than with some chopped cinnamon sugar pecans! 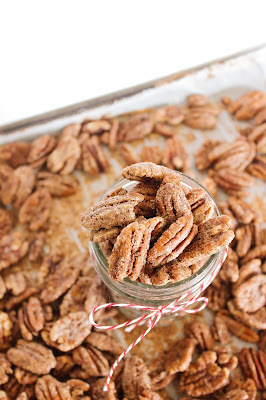 Actually, I have been toasting up these delicious pecans since Easter when I made that amazing Carrot Cake and they have never made it onto a single salad. Hand snacking- yes, obviously. Chopped in an amazing chocolate chip cookie- surprisingly wonderful. Salad topper- great plan, yet to be executed. 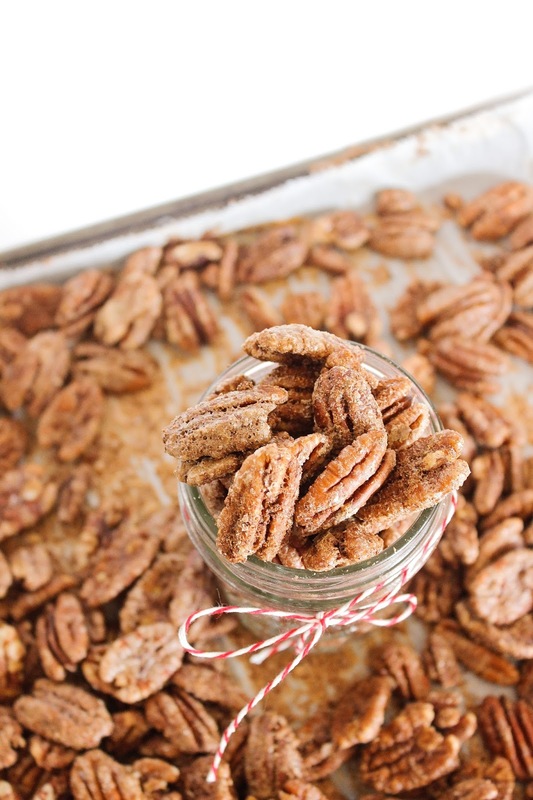 The wonderful thing about these pecans is that they are really simple to whip up. You also don't need any special ingredients...except pecans. I bought the big bag at Costco thinking that would be waaay too many, but it turns out devouring these sweet, crunchy nuts is a quick and easy job, especially with little helpers. Most importantly, all the recipes I found used so much sugar. I mean, I love sugar, but 1 1/2 cups for 2 cups of pecans? I'd rather save my sugar for something else. 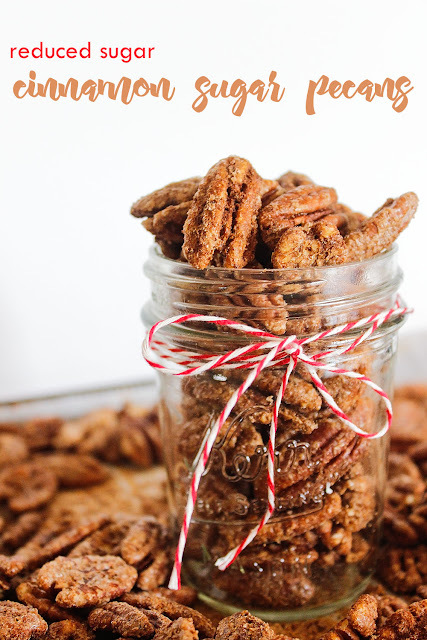 This recipe drastically reduces the amount of sugar to only 1/4 cup for 4 cups of pecans and they still taste awesome! Sweeeet. Preheat oven to 250 degrees. Line a cookie sheet with parchment paper or tin foil. In a small bowl, whisk together egg white and water until fluffy. Stir in cinnamon and 1/4 cup of sugar. It may take a minute to incorporate the cinnamon. 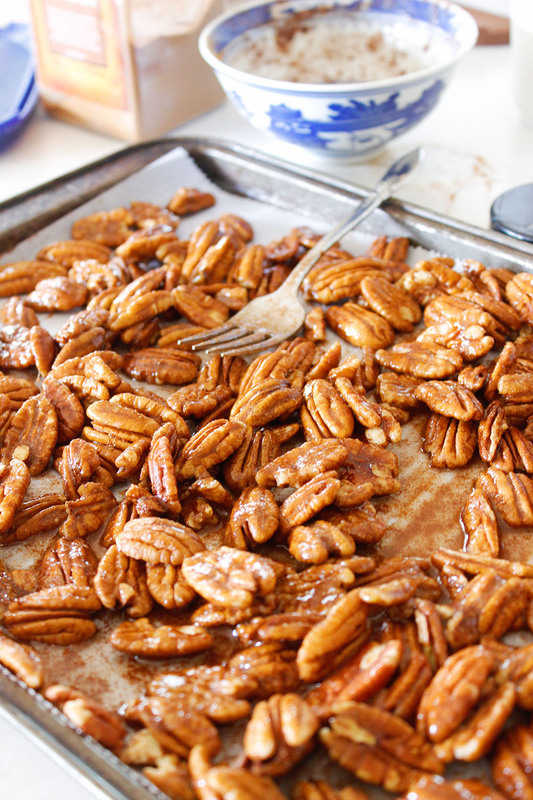 Pour pecans onto the cookie sheet. Pour egg white mixture over the pecans and toss so nuts are evenly coated. Sprinkle additional tbs of sugar on top, if desired. Bake for 1 hour, stirring pecans every 15 minutes. Cool completely. I love fruit tarts. There is this great French bakery downtown that has a tart that I could eat every day, but I don't because the big one costs at least $30 and I would eat it all by myself, (as the Little Red Hen should!). I'm not exaggerating this time. One summer I bought an entire tart- not a little one but the one that is at least 10" in diameter and covered in strawberries, blueberries, apricots, and plums. It had a thin, sweet crust, which was divine, and an amazing, slightly almond-flavored cream filling that I now know is called a frangipane. I ate the whole thing while reading Anna Karenina over the course of 3 days. No sharing. And honestly, I didn't really feel bad because it isn't like a fruit tart is as rich as a chocolate cake! I don't want to spoil the book for you if you haven't read it, because you should, but I remember what struck me most was how much immediate remorse and internal conflict Anna had, and yet she didn't want to stop doing what she was doing. After eating that entire tart and binge reading a Russian novel in 3 days, I felt I could completely identify. 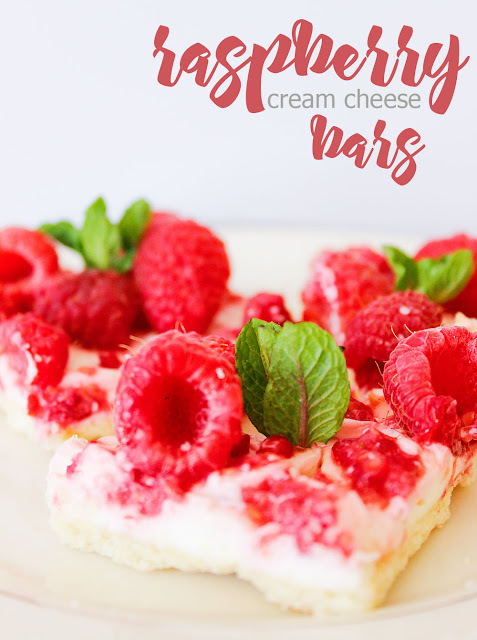 But this raspberry cream cheese tart will not leave you feeling like that! The crust, if you want to be technical, is a pate sucree, (pat soo-kray), which is fancy talk for a sweet pie crust. Don't let the fancy name scare you off because it is incredibly easy to make and you'll feel like a rockstar after you do. Trust me in its perfection for this bar. Not as chewy or sweet as a sugar cookie crust, (which I have tried), and not as dry or savory as a traditional pie crust, a pate sucree is perfection. I made mine with powdered sugar, which I much preferred over granulated sugar, and a little bit of heavy cream. I am becoming a heavy cream convert! It lasts for like 2 weeks in the fridge and makes just about everything better. Keep some on hand! The filling is just cream cheese whipped with some heavy cream to fluff it up, more powdered sugar to sweeten it just enough, and a squeeze of fresh lemon juice. 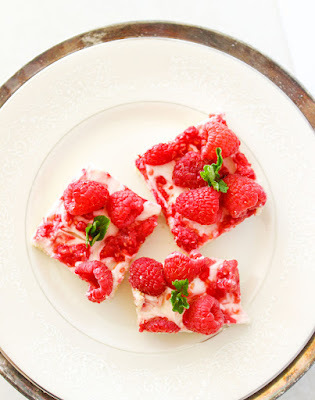 Top that loveliness with some fresh berries and you have something miraculous to serve at your baby shower/bridal shower/make up party/summer BBQ/afternoon of loneliness. The recipe for the crust can be divided into two parts to fill 2-9" tarts, or roll it all out to fill a cookie sheet. The dough also freezes really well for a month, so you can make it ahead and let it thaw in the fridge before using. In a stand mixer or with a hand mixer, whip butter on medium-low speed until it is the consistency of mayonnaise and holds a peak. Sift in the powdered sugar and add vanilla, mixing on low at first (so you don't get powdered sugar everywhere), and then increase speed to medium, until mixture is light and fluffy. Add flour in 2 additions, mixing for about 30 seconds, until just combined. Add egg. Mix until just combined, and slowly add cream by degrees, as needed, to allow crust to come together. Be careful to add by tiny increments and avoid over mixing. You will knead it lightly after you remove it from the bowl. Once combined, transfer dough to a lightly floured work surface. Using your palms, gently work the dough together. Divide dough in half and form each half into a rectangle. Wrap each half in plastic wrap and refrigerate for 2 hours before rolling out. If freezing, double wrap dough and freeze for up to 1 month. 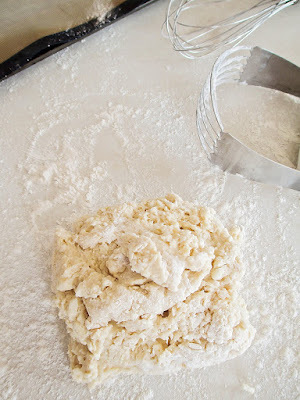 When ready to bake, roll out very thin on a lightly floured or powdered sugared surface. One crust for a 9" pie pan, or both crust fill a cookie sheet. Bake at 350 until sides are lightly golden. The middle may look under-cooked, but after the crust cools it'll be great. In a stand mixer or with a hand mixer, whip cream cheese until smooth and creamy. Add heavy cream and vanilla, adding powdered sugar by degrees until sweetened to taste. Whip until light and fluffy. 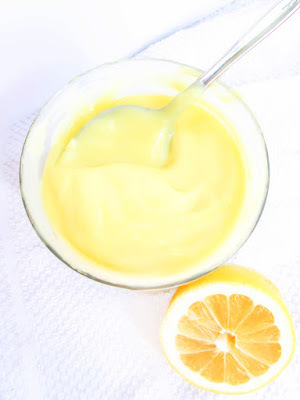 Add lemon juice by degrees to taste and whip again. 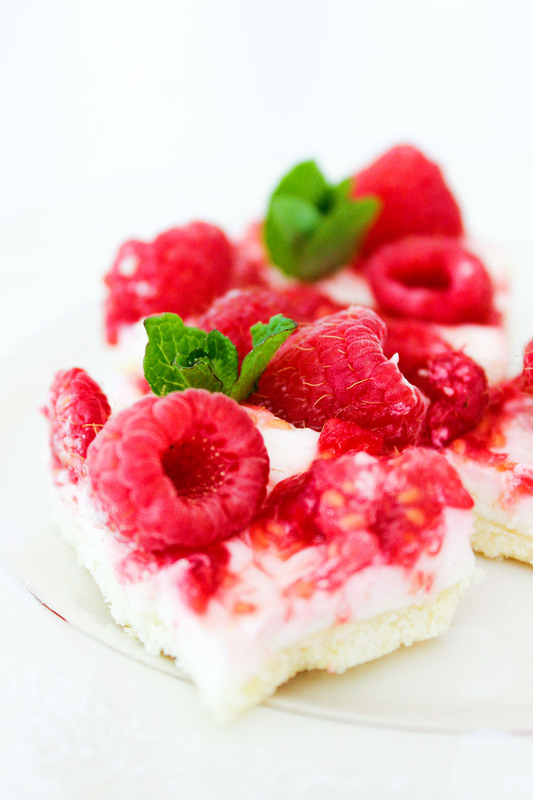 Spread onto cooled, baked crust and top with fresh berries. 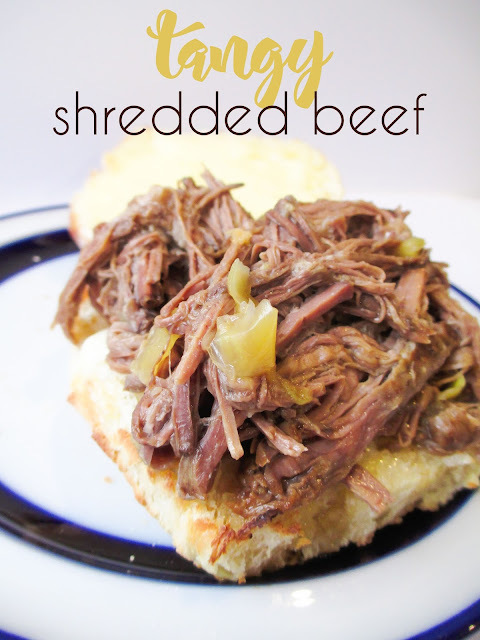 I love making these tangy shredded beef sandwiches so much! 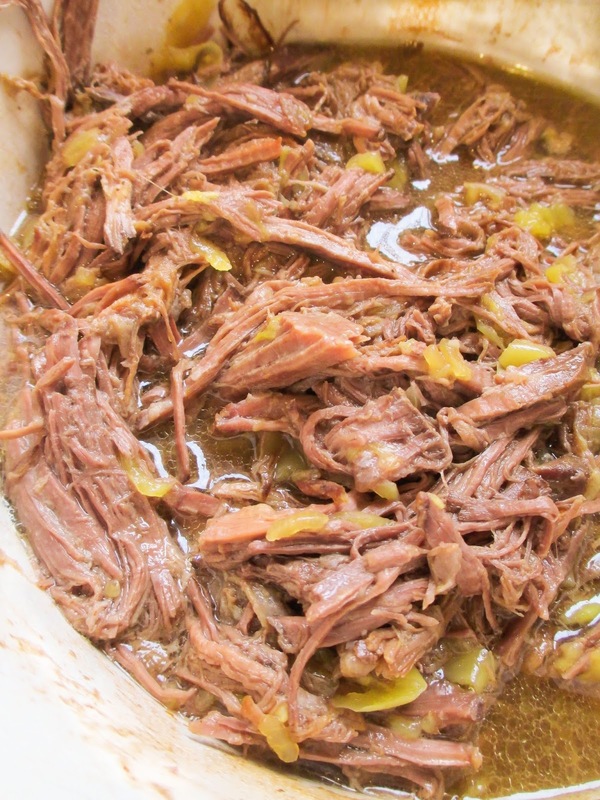 You just throw 3 ingredients into the crock pot and let them do their thing all day, and miraculously you end up with the most tasty meat you can imagine. Of course, chicken is delicious, inexpensive, and easy. Pasta is a definite staple at our dinner table, and ground turkey is for tacos. But sometimes, you just need some beef, you know? So when I see a roast on sale, I know exactly what to do with it! Juicy, hot, and flavorful, my favorite way to serve this tangy meat once it is shredded is on a toasted homemade hamburger bun, or fresh, crusty french bread, smothered in mayo and pepper jack cheese. Provolone is a very close second, and I have been pleased even with a sharp cheddar. That's it. Really simple. Really delicious. Like dripping off your chin delicious. Don't let the pepperocinis scare you away. I make sure to buy mild pepperocinis and my kids don't even know or complain about it. They love this stuff. You don't end up with peppery-tasting meat. Instead, you get this great, tangy flavor from those pickled peppers, without the heat. And the beefy onion soup enhances all that meaty goodness. Seriously, the broth resulting from this simple combination makes a crazy wonderful dipping au jus. Most often I just shred the beef and put it back in the broth so that the meat stays flavorful and juicy. Another wonderful perk is that unless you are making this for a party, you will have left overs, and you will want left overs! My favorite way to use this shredded beef, apart from the sandwiches, is to make an amazing homemade pizza with alfredo sauce, caramelized onions and peppers, mozzarella, topped with shredded beef and smoked provolone. Yummm... Plus tacos and quesadillas make a great, easy lunch option. Oh, and so do beefy grilled cheese sandwiches dipped in homemade tomato soup. 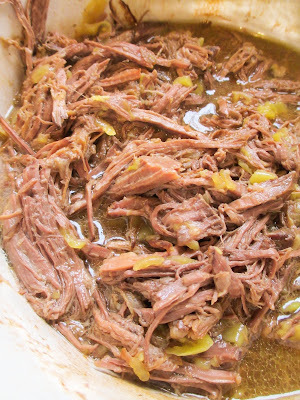 Just make this tangy shredded beef and let your imagination run wild! In a large frying pan, heat oil. Sear roast on all sides. Place into crock pot. Pour pepperocinis, including juice, and beefy onion soup mix over roast. Cover and cook on HIGH 4-5 hours or LOW 7-8 hours, or until meat is easily pulls or falls apart. Remove roast from crock pot, reserving juices. Shred with a fork and return meat to juices. Serve on a toasted cheesy bun, in grilled sandwiches or quesadillas, or on salads or pizzas. Leftovers freeze well. Sometimes you just want hefty buns, am I right? Okay, your middle-school sense of humor is probably giggling right now, but you know what I mean? You've got an amazingly juicy burger or flavorful sandwich planned out and those store-bought buns are not going to support all that flavor! Nobody likes it when their hamburger bun quits before the burger is gone. Like when the bun is flapping off the meat or sliding away altogether, and you are left with ketchup everywhere on your hands, your lettuce has slipped away into your fries, and don't get me started on where the tomato is! Moral of the story: Bad buns ruin good burgers. A few weeks ago I needed a good hamburger bun. 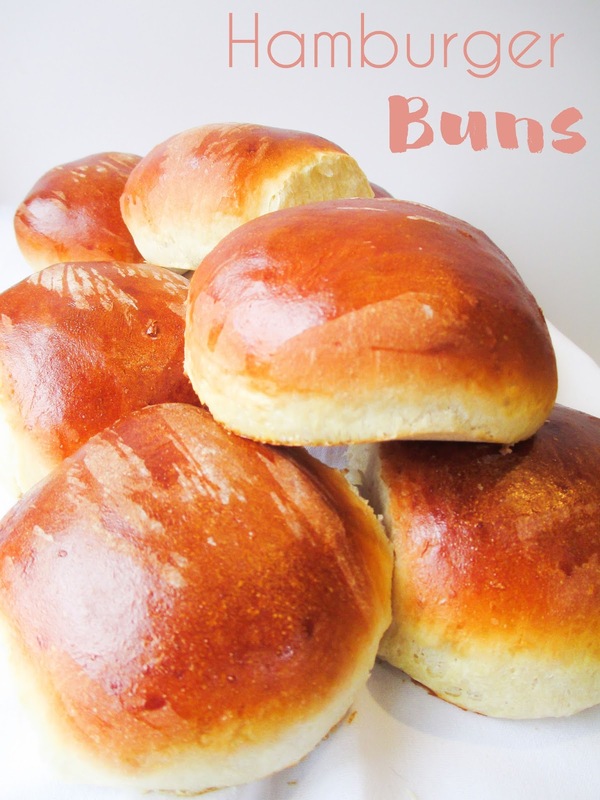 I was hesitant to make my own because I didn't want a bun that just tasted like bread. That's gross. 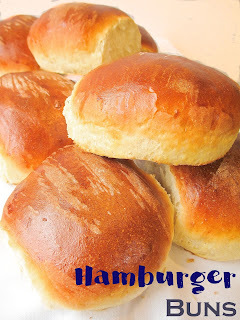 So I tried this hamburger bun recipe from the baker upstairs and I really liked it. The resulting buns improved the quality of my pre-frozen turkey burgers by one million percent. No bread flavor, no buns falling off the burger. Plus, I could make them the same size as the burgers so that was awesome. No complaints and no trip to the store. With burger season ramping up, I highly recommend trying these out. They take a little bit of time, but they are worth it. Sorry store-bought buns, we're through. Its not me. Its you. In a stand mixer with a kneading hook, combine milk, water, yeast, and sugar. Let sit until frothy, about 3 minutes. Add 1 egg, salt, butter, and 2 cups of flour and knead on low speed. Continue to add flour until dough pulls away from side of bowl and is a little sticky and will form a ball when you roll it between your fingers. Cover dough loosely with a towel and let raise until doubled. After dough rises. gently form into 10-12 balls and flatten them slightly with your hand. Place on a large cookie sheet and let rise again for 1 hour, or until doubled. Preheat oven to 400 degrees. Place a 9x13 pan of water in bottom of the oven. Whisk together 1 egg and 1 tsp of water. 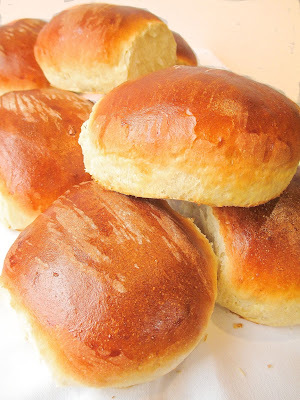 Brush egg wash over the buns and bake for 15 minutes, or until golden brown. 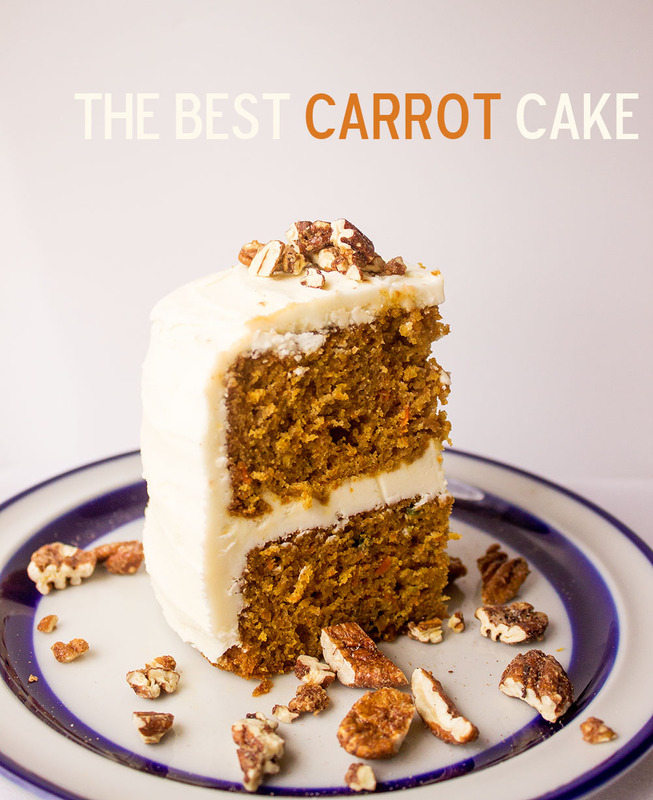 Around Easter I went searching for the perfect carrot cake. (I also wanted a chance to use the food processor attachment for my Kitchen Aid I received for my birthday back in December.) I kept going to events where I knew there would be carrot cake, only to be disappointed by a cake mix with Cool Whip. I know, some people love that kind of thing, but if I want carrot cake, I want a cake that is moist, slightly dense, not too sweet or overpowered by cream cheese, and I don't like nuts or raisins inside the cake itself. I guess I am kind of particular about my cake! The best carrot cake I ever had, hands down, was at a wedding reception I went to a few years ago. 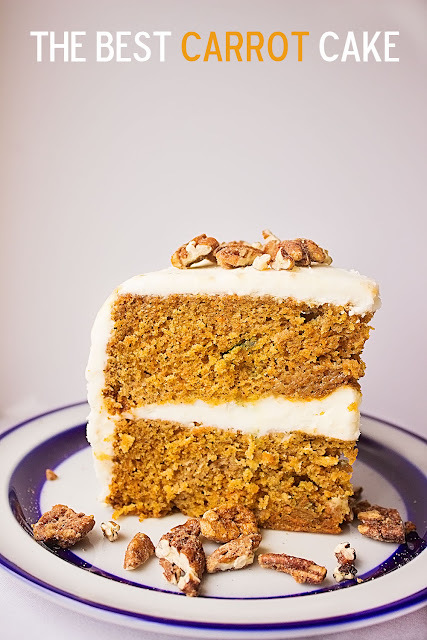 I can't even remember what made it so miraculous, but it forever changed my idea of what a carrot cake could be- namely I discovered it could be enjoyable! This carrot cake, my carrot cake, is about as perfect as it gets. Super moist, not overly sweet, not overly spicy, and with no artificial aftertaste, it is a true winner. Plus, no special ingredients or flours are required. 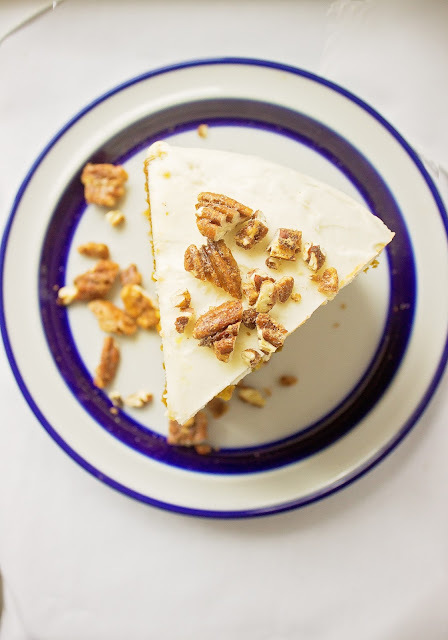 I love the combination of a whipped cream cheese filling with a buttercream frosting because then the cream cheese isn't too strong.Topping it with cinnamon-sugar toasted pecans was the perfect way to introduce just a little bit of texture so that the cake doesn't feel too rich. Even people that tell me they don't like carrot cake liked this cake. I'd call that success! Preheat oven to 350 degrees. Spray 2 9" round cake pans with non-stick cooking spray, or line with parchment paper. In a large bowl or stand mixer, mix together the oil and sugars until smooth. Add the eggs one at a time until just mixed. Add the vanilla. In a separate bowl, whisk together dry ingredients. Slowly, add in the dry ingredients to the wet ingredients until just combined. Pour into prepared cake pans. The batter will fill the pans up, but they won't overflow while baking. Bake for 30-45 minutes, or until a toothpick inserted into cake comes out clean. Cool in pan for 10 minutes. Then carefully remove cake from pans and cool completely on a cooling rack before frosting. In a large bowl, whip cream cheese and butter until smooth. Add in powdered sugar and vanilla, adding more of each if desired, according to taste. Spread between layers of cooled cake. In a large bowl with a hand mixer or in stand mixer with whisk attachment, beat butter until light and fluffy, about 3 minutes. Slowly add in 4 cups powdered sugar and extracts. Add in heavy cream and additional powdered sugar by degrees until frosting reaches consistency and taste desired. If frosting a layered cake, you will want a slightly stiffer frosting so be careful when adding cream. Continue to whip for several minutes until light and fluffy. Use to frost 2- 9" cakes or the outside of a 9" layered cake. We moved last August and my boy, my only boy, got his own bedroom. 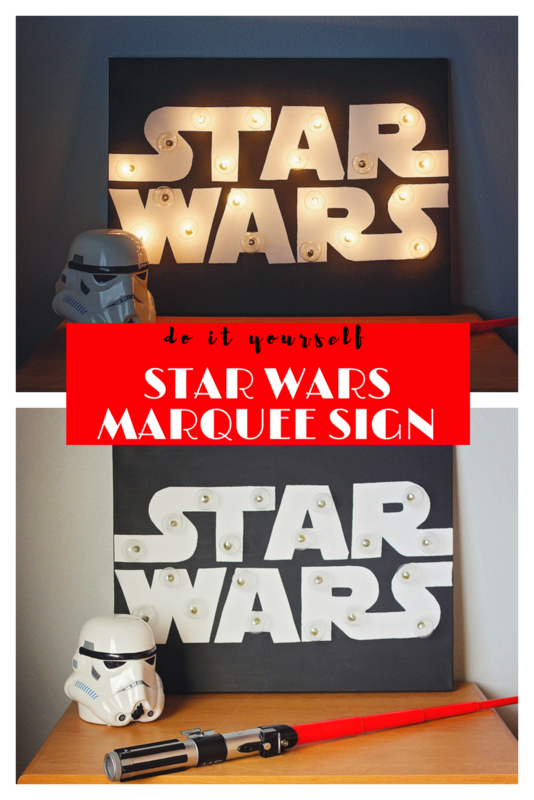 There was no question that it would be a Star Wars room, and I started combing Pinterest for ideas. Most were amazing! And some of the most amazing were also, unfortunately, amazingly expensive. So where does that leave the Little Red Hen? She looks it all over and decides she's got to do it herself...cheaper. I am not super crafty, nor am I a natural decorator. I can't just see a room and know what to do with it. But, give me a theme, and I can come up with some good ideas. And so it was with this Star Wars Marquee sign. The original inspiration came from Pottery Barn and is beautiful! All of their Star Wars decor, I needed. Like I spent weeks drooling over their Star Wars sheets, deciding I was just going to bite the bullet and buy them, only to chicken out every time I put them in my cart. So I went with the Target version which was less my favorite, but worked for 1/3 of the price. Done. Luckily, I found some of the awesome Pottery Barn pillow shams at a local outlet for only $1!!! So, that was a win. But, you want to know about the marquee sign. The marquee sign I saw at Pottery Barn is made out of wood so it weighed more than 20 lbs, and it cost $299. Uh, that's a no for me. I saw a great tutorial on Handmade with Ashley to make my own with a Cricket vinyl cutter and wood. It is awesome! I pinned it in good faith only to realize I would never, never take the time to build that thing. I wanted to, it looks just like the original one from Pottery Barn, but tools and time are not my forte. I'm impatient. I want it done now! My sister came over and we got to work finishing the sign up. I had some black acrylic paint already, so I put my stencils on the canvas, painted the entire thing black, and let it dry. Once I removed the vinyl letters- VOILA! I had exactly what I wanted. Walmart had those great outdoor lights for less than $10, so I used an X-Acto knife to cut holes in my canvas, screwed the bulbs on, and holy Jedi mind tricks! It worked! So, for less than $20 I made this! Oh man, Little Red. Yoda best. Trace Star Wars letters on to contact paper. Cut them out. Center letters on canvas. You can use a ruler, or just eyeball it. If you use the 18"x 24" canvas, the letters will go all the way to the edges. Once placed, remove the backing of the contact paper so that the letters stick to the canvas. (That said, the contact paper doesn't stick super well. Don't worry. Just press the letters down as best as you can and paint lightly to avoid bleeding under the contact paper. Using the foam paintbrush, cover the canvas with a light coat of black paint, going all around, and over the letters. The canvas under the letters will stay white. Apply a second coat if needed, being sure to be careful around the edges of the letters to avoid the paint bleeding through. Once the paint is dry, remove the contact paper letters. Isn't that awesome! Now, lightly mark where you want the lights to be with a pencil. With the X-Acto knife, make a tiny X where the light should go. Unscrew the light bulb from the wire. Gently push the bulb through the X and screw the wire and bulb back together. So, from the front you only see light bulb. Plug in and be amazed! A few weeks ago I made this amazing lemon curd which was so good it took me 3 days to decide the worthiest way to use it. My best buddy Alicia, the baker upstairs, suggested British scones and I decided to go with that suggestion. It was, as you can see, an unequivocal success. First, I will admit I have never been to Great Britain, so I am hardly an expert on the perfect scone. 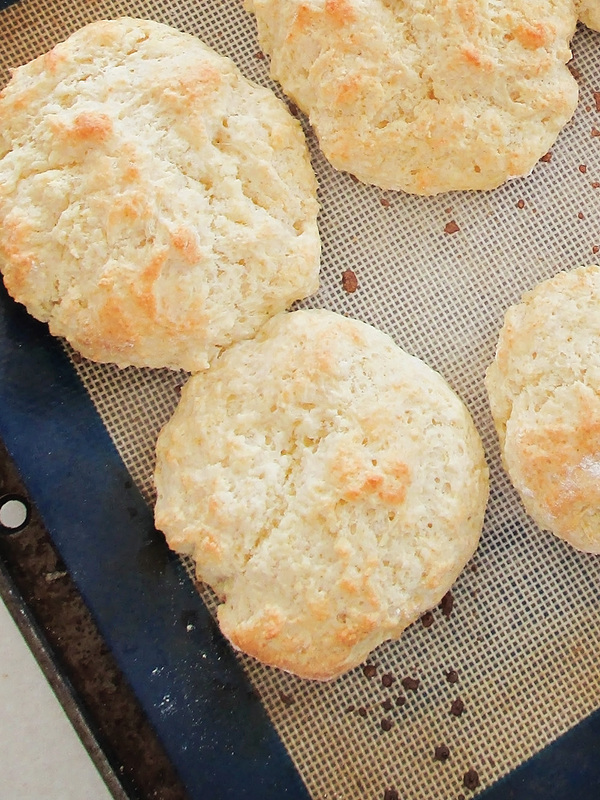 That said, I did my research so I think this recipe is fairly legit.You have to realize a British scone is more like an American biscuit, but with fewer flaky layers. 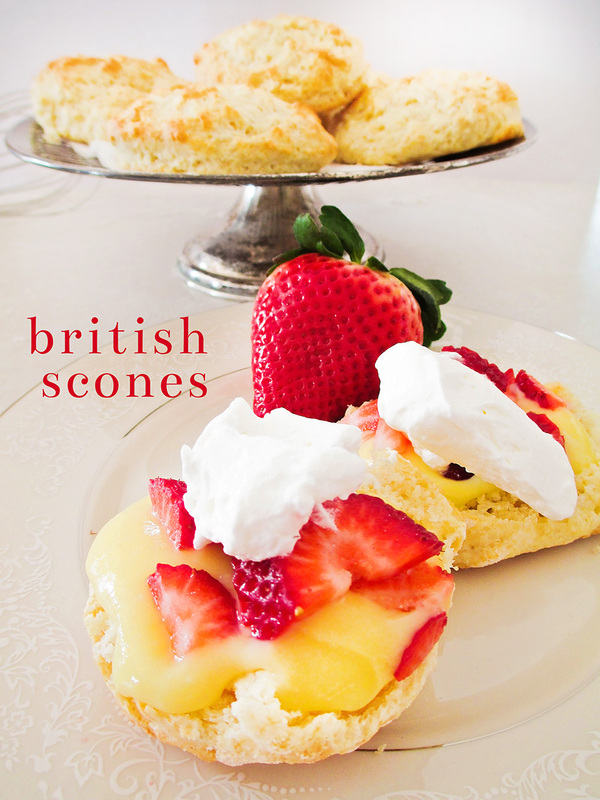 Instead of being sweet, the British scone is meant to be filled with sweet stuff- like jellies, jams, and lemon curd! Clotted cream is another staple filling, but I went with a homemade whipped cream instead. (I think Cool Whip is evil.) Throw in a handful of plump, juicy strawberries and I had the makings of something sophisticated. Perhaps the most beautiful part about these scones is that they are quick to throw together, so in less than half an hour you can have a little bit of heaven in your kitchen! So if you are planning Mother's Day Brunch, or just a well deserved mid-afternoon snack, these British scones are what you need. Sift dry ingredients into a mid-sized bowl. Cut in the egg and 1/2 cup milk with a knife. The dough will be very loose. Turn onto a floured surface. Pat until about 1" thick. 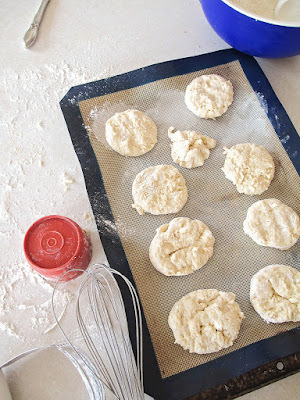 Using a biscuit cutter, cookie cutter, or small-mouthed cup, cut dough into 8 pieces. Brush top of scones with remaining tablespoon of milk and bake until golden brown. Serve cut in half and serve with cream, jam, or lemon curd.